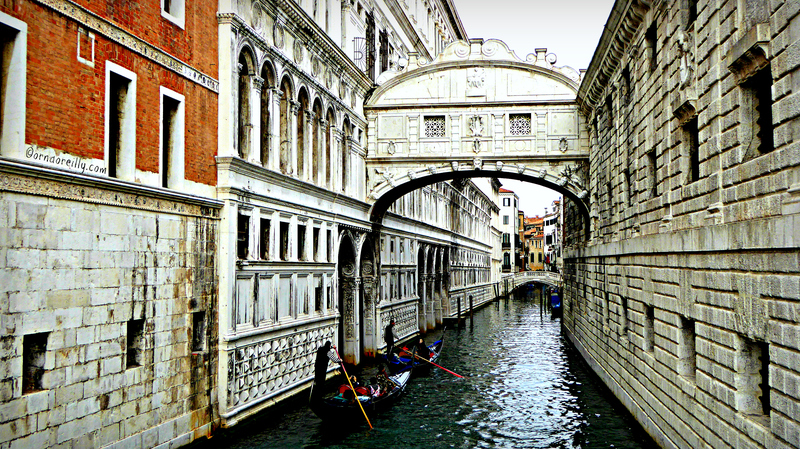 Everyone’s dream is to stroll through the narrow alleyways (calle) of Venice. To wander off the tourist trail and admire the beautiful churches and palaces (palazzi), eat cicchetti and drink an ombra like a local and generally just soak up the atmosphere in, arguably, the most beautiful city on earth. If you have never visited Venice – or even if you have – taking a stroll through this magic city through the eye of my camera lens should, I hope, give you some idea of its great charm. I am very lucky to live just a quick train-ride away from La Serenissima and visit regularly. These photos have been taken in all seasons and weather over several years, so, put on your most comfortable walking shoes and come with me. 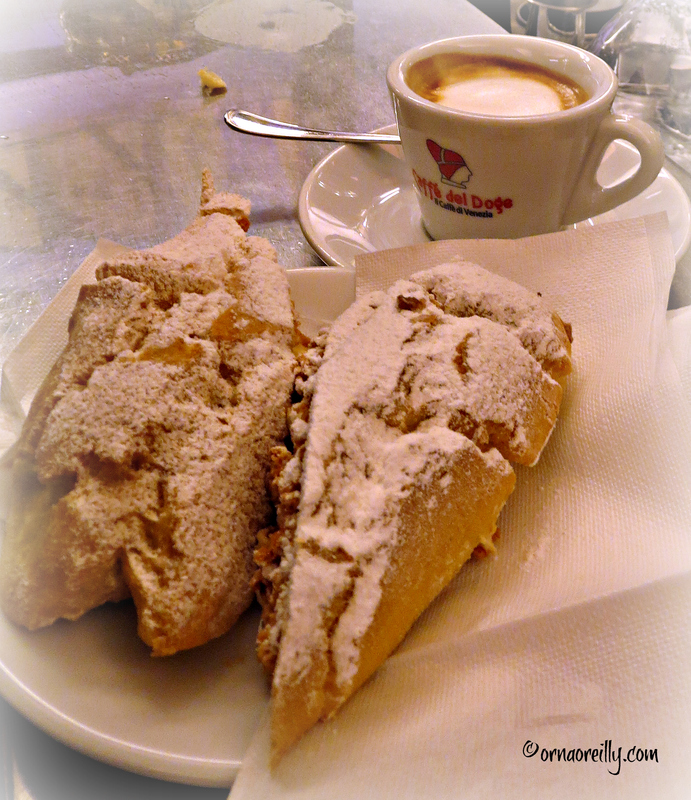 Before we go, let’s have a Fiamma Zabajon and a caffe macchiato in a local pasticcerica. Let’s see the main tourist attractions first. Let’s just pop inside the Basilica of San Marco and have a look at the original four bronze horses that used to adorn the facade, but have been moved inside to protect them from the elements. The four horses you can see on the outside are replicas. While we’re inside, let’s pause to admire the wonderfully jewelled interior. The Doges’ Palace is a must-see too and it’s possible to book a tour of the torture chambers. Take the time to look around you: see how they manage building work; stop to admire the wisteria in April; walk to Castello, passing the local floating vegetable market; examine the bridges and visit a few museums if you have the inclination. Especially visit the Peggy Guggenheim Collection or the Scuola Grande di San Rocca. There is something for everyone. Ready for a coffee? How about a visit to Florian’s, the most famous caffe in Europe with its outdoor orchestra? Feeling refreshed? Let’s have a look at a few of the many churches in Venice. As you stroll along the Guidecca Canal, you just may see these cruise ships – a cause of great local controversy. Before we head for the islands, how about a quick cicchetti and an ombra? Now to visit a few of the islands in the Venice Lagoon. Just climb aboard a vaporetto (water bus) and away we go. First of all, we’re getting off at Murano to see the wonderful glass-blowing factories and shops full of their artistic wares. Then we’ll head over to Burano to see the brightly coloured fishermen’s cottages, then to Guidecca where – as you can see – it’s washing day today. Venice is fabulous in the middle of winter too, when it’s cold, foggy and still. Piazza San Marco is the home of many pigeons and tourists are strongly discouraged from feeding them. Then, if you happen to visit between October and April, you may well experience the regular occurrence of Acqua Alta (high tide) when the platforms go up in the areas vulnerable to flooding. Venice is full of things to see and do. 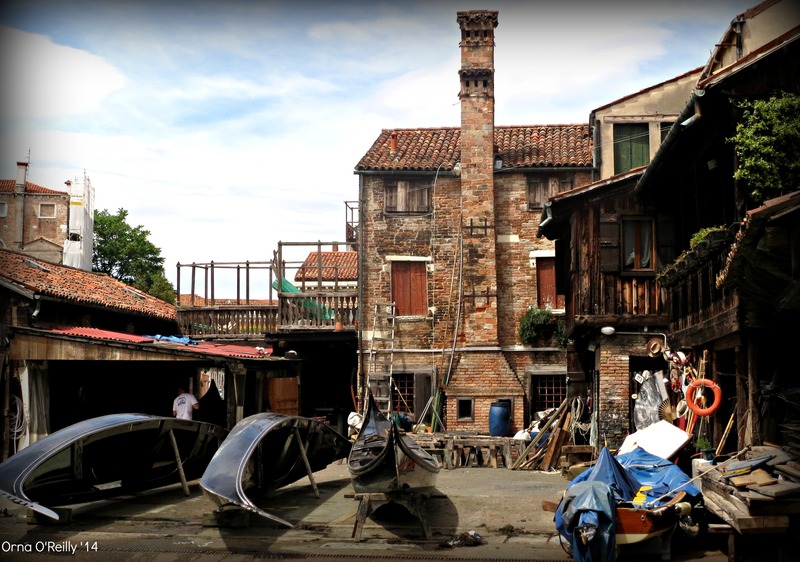 If you have a few hours to spare, you can even make your own carnivale masks or go and see one of the only gondola factories (squero) left in Venice! Orna and her own mask! Most of all: enjoy the most beautiful city on earth. Orna, this is a beautiful post of a city I’ve never visited except through the books of Donna Leon. Thank you for taking me there! This post should make the Mayor of Venice take note and award you “Anonymous Venetian” status. Well done, you. I have had the honor of visiting Venice TWICE and will return this October. You never tire of seeing this City. Thank you for taking people there through your blog! What a wonderful virtual tour guide you are! 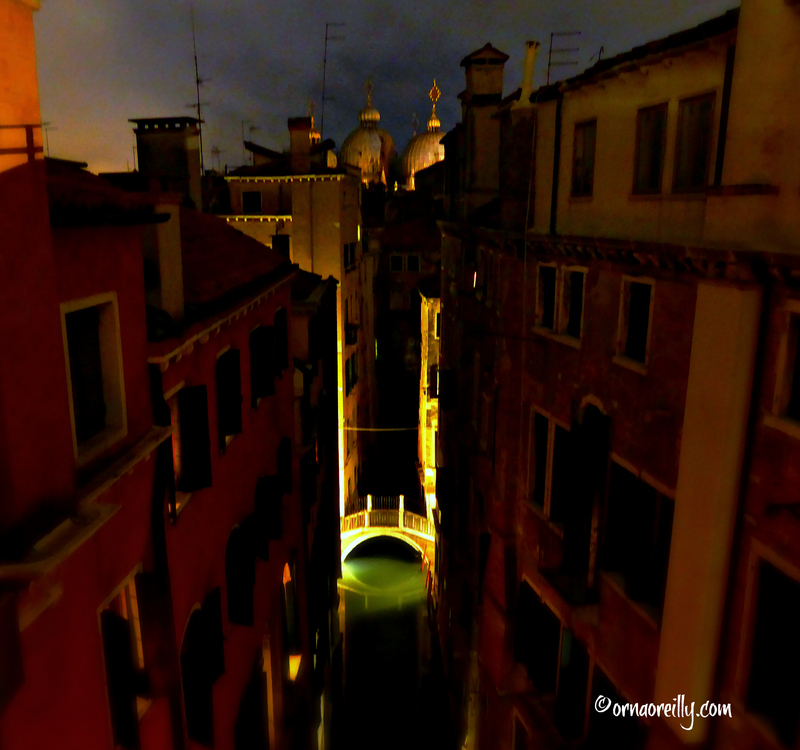 Thank you for sharing a bit of La Serenissima as seen through your eyes with us. Thank you! When friends come to visit – regularly – we always spend a day in Venice so I can take them to my favourite haunts where you can have lunch, with wine, for around €12.00 per person. Yes, these little places DO exist! It’s a wonderful city, particularly if you are prepared to wander away from the more touristy areas and explore the back alleyways. 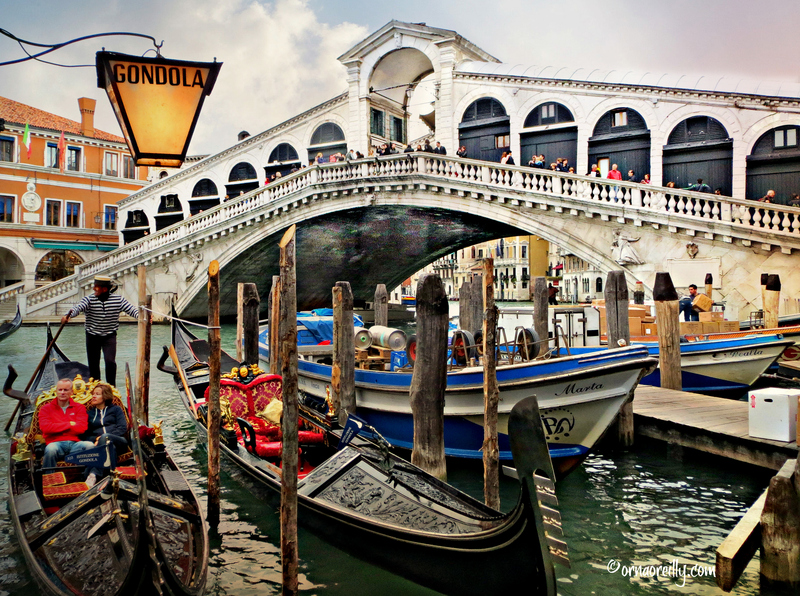 Did you ever meet Donna Leon while strolling on the Venetian alleys? 😉 Lovely pictures Orna! That is something! I never knew you are a fan too. I think she is great too. I’m learning Italian in India and would love to read her books in Italian someday. But I hear that she doesn’t want them translated.